Analysts say strength in the US dollar against some other currencies overseas also weighed on the rupee sentiment. Rupee is still up nearly 5% against the dollar so far this year. 1) Analysts say recent selloff in equity market weighed on the rupee. Sensex fell over 300 points at its day's low to 31,195 today. Including today's selloff, the Sensex has fallen over 1,000 points in last four trading sessions. 2) Foreign investors who have been a major contributor to the stock market rally this year so far, have turned net sellers of Indian equities in last few days. Yesterday they sold shares worth Rs 1,171 crore in the cash market. Including yesterday's figure, foreign investors have sold Indian equities worth over Rs 2,000 crore in cash market this week so far. Rising tensions among North Korea and US have also impacted global equity market and foreign flows to India. 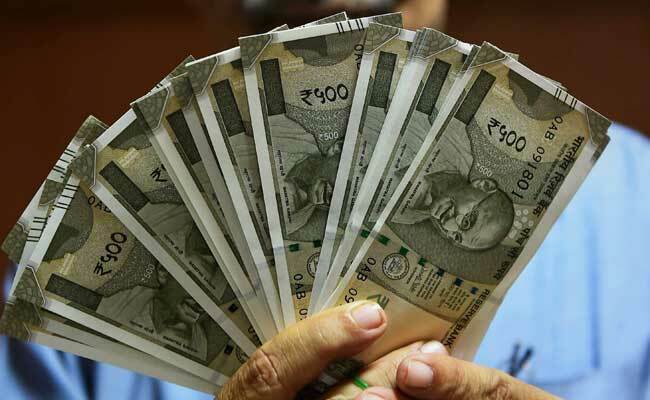 3) A report by news agency Reuters said the Reserve Bank of India (RBI) will likely have to drain up to $22 billion in excess liquidity from the financial system as surging foreign investments forces the central bank to absorb the dollar inflows and sell rupees to cap gains in the rupee. 4) Analysts say strength in the US dollar against some other currencies overseas also weighed on the rupee sentiment. The dollar index, which measures the value of US dollar against six major currencies, has risen nearly 1 per cent this month so far.